Please take a moment to check out the Instagram and Canadian Creatives portfolio of each of my colleagues and don’t forget to tag your Instagram images with #CanadianCreatives for an opportunity to share your work with our growing community. Lately, I’ve been spending a huge portion of my life researching creativity and the creative process. As a wedding photojournalist, I don’t feel like I “create” images. I photograph moments, as they unfold before my eyes. The only thing I have to “create” is the composition, and in some cases the lighting. Joel Robinson, on the other hand, is a true creative. He creates an image from start to finish, in every sense of the word. He creates the concept, the story, the props, the lighting, the execution, and something undefinable that I can’t quite put into words. Joel’s images have a dream-like quality that completely draws me in. 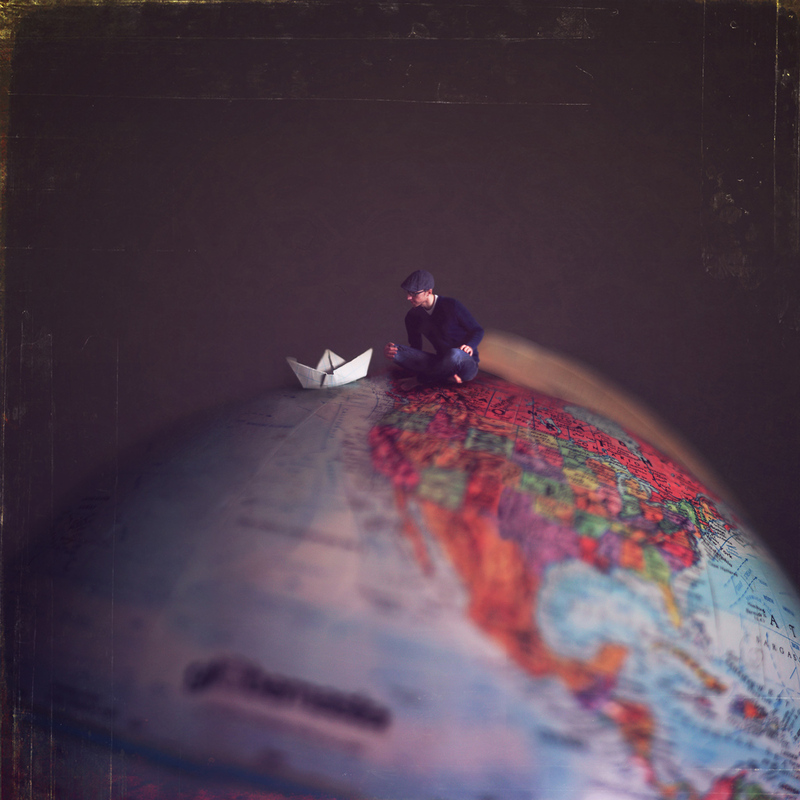 In the image I selected he is sitting on top of the world (literally) casting a paper boat into the ocean. The interpretation of this image can go in so many different directions, depending on where you are with life. In my opinion, a true piece of art is defined by how it engages the viewer. A piece of art draws people in to think, not just about what they’re looking at, but about what it means. All of Joel’s images draw me in, in this manner. I have no idea why I selected this image as my favourite, probably because I’ve spent the year travelling the world with my family. Under different circumstances, I may have chosen a completely different image. That’s the beauty of Joel’s work. For my part, I was tasked to choose one of Wayne Simpson’s images from 2015. What a ridiculous assignment. Not only does the guy do phenomenal landscape work, he also keeps coming up with incredible portraits! I really had my work cut out for me. It took a good deal of browsing through a lot of compelling images, but, in the end, this is the one that stuck with me the most: a portrait of a man named Brian Newman. I find it haunting, mysterious, and mesmerizing. Wayne has a knack for finding incredible subjects for his portraits and then has a way of capturing people’s spirit and making us want to know them. Even if I never get to meet Brian, I feel like I’ve come pretty close looking at this image of Wayne’s. I love the subtle lighting and inclusion of the environment as well. Well done, Wayne! As a side note, I got to meet Wayne in person this past Fall. Not only is he one of the most versatile and creative photographers I know, but he’s just such a great all-around guy. Most of all, he’s as humble as they come. 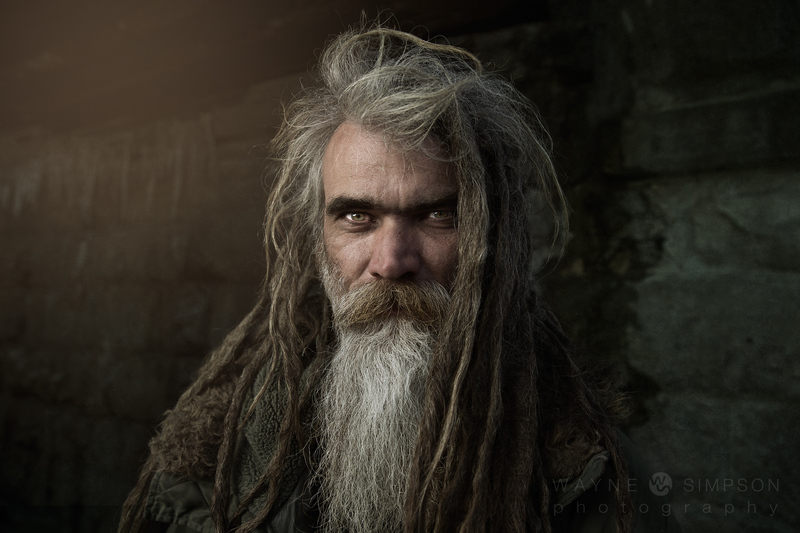 As an example, he gave some credit to Lee Jeffries when he posted this image on social media. I think it’s classy of him to acknowledge where part of his inspiration came from. I very much look forward to working with Wayne again in 2016! I really enjoyed going through Paul’s portfolio from the last year but what a choice to have to make….so many awesome images!!! 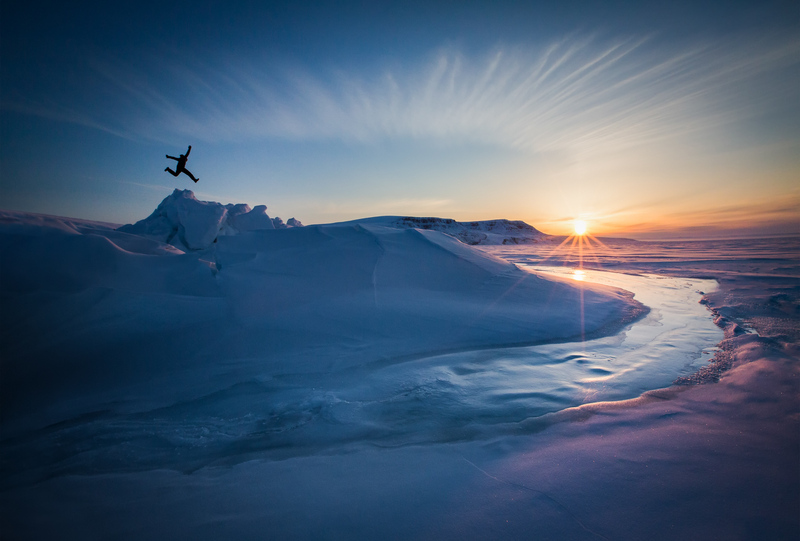 It was really hard to narrow it down to just one but here it is: Boreal Joy! I love this image on so many levels: The curve of the water as it snakes through the photograph and leads the eye through the frame, the fan of cloud that completes the circle in the upper part of the picture and contains the main elements of the image. The sun star gives it that beautiful spark of light and of course the tiny figure: Paul is a master at placing the human form in the landscape and this joyous self portrait is in my opinion one of his best! Add the complimentary colours of blue and orange, and the purple tint on the right of the frame and this image is definitely a favourite of mine. How do you pick your favourite image from a photographer you greatly admire when pretty much every single image that they post blows you away! Lanny and Erika Mann of Two Mann Studios are a hugely talented duo in the wedding photography industry. While I’m a huge fan of their collective work, I’d like to give a shout out to Lanny and share one of my favourite images of the year from him. As a photographer who has shot his fair share of weddings, I’m well aware of the pressures on a wedding day and how difficult it is to be creative without being cheesy but still get the “must have” shots. Lanny has an amazing ability to capture fleeting moments, emotion and mood in a dramatic and artistic way while under pressure – be it within a landscape, hidden in a reflection or framed within other artistic elements. There are so many amazing shots from the last year, but I’ve finally settled on this beautiful image! This is one of those shots that make you stop and pick your jaw back up off the floor! I just love the mood, grandeur and romanticism captured here! Many people think of heaven as a place with angels, clouds and golden gates… I picture heaven to look like this! Amazing work Lanny! I am not a wildlife photographer. Although, some of my subjects could be described as “wild animals” on the dance floors of the weddings I shoot. As a wedding photographer, however, I have an incredible appreciation for wildlife photography. I’m drawn into it, not only by the beautiful images of creatures that I adore, but also by my curiosity about, and respect for the stories that are behind the images… the struggle and adventure required to capture such images. And when it comes to any genre of photography, I’m always most impressed by those who are pushing things… taking it to the next level. And I am not alone in recognizing that, when it comes to wildlife photography today, there’s one guy doing just that. John Marriott’s work continually stops me in my tracks. Choosing just one of his incredible images was pretty much impossible. Alas, I decided to settle upon this one… for a few reasons. Firstly, obviously… it’s a masterfully timed and exectued photograph of not one, but two beautiful creatures in the wild. Secondly, as with so many of John’s photographs, it’s compelling for reasons far beyond the inherent beauty of the subject matter. In my mind, John is more than a wildlife photographer… he’s a wildlife storyteller. 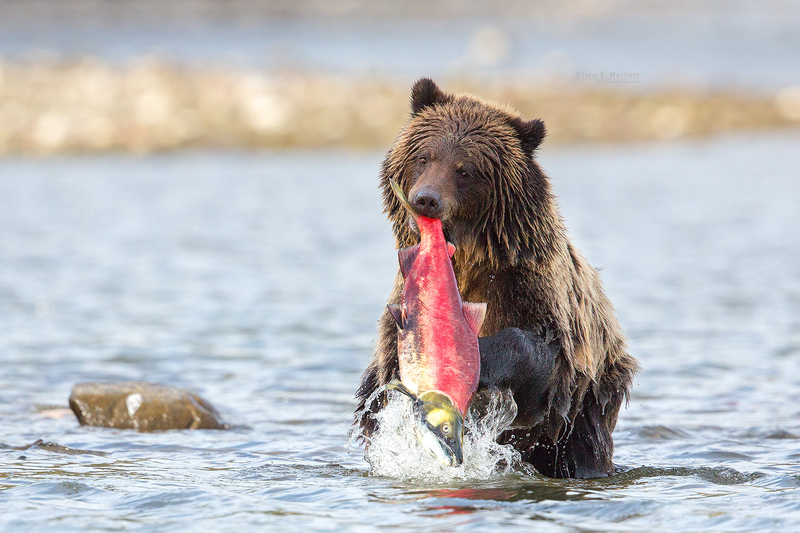 This single image captures, so much more than the wonder and beauty of a young grizzly bear and a vibrant red salmon. The moment and movement tells a beautiful story of survival, struggle, and connection. That can not be easy to do, which is my ultimate reason for choosing this image. Understanding the struggle, patience, commitment, and persistence required to capture a moment like this, is what earns John the utmost respect in my book. 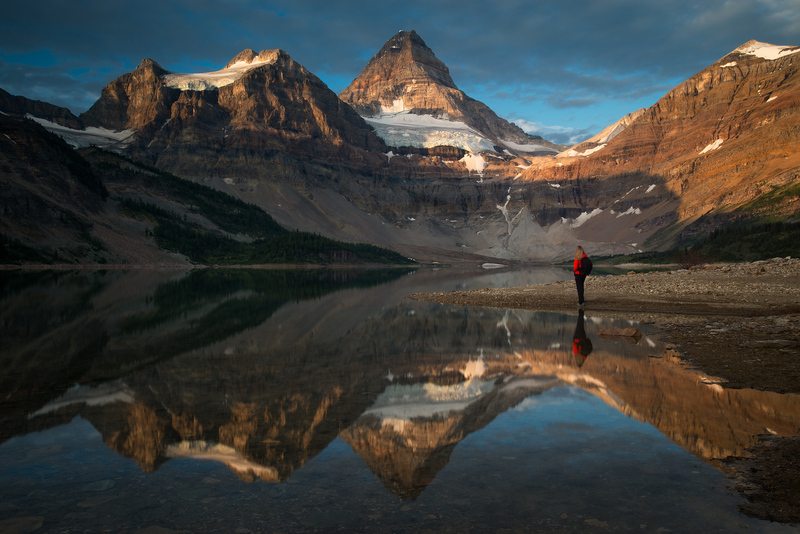 How do you choose just one image to represent a year in the life of an iconic Canadian photographer like Dave Brosha? I hummed and hawwed over hundreds of shots on his Instagram, Facebook and Twitter feeds, yet in the end was drawn to the photograph that I most remembered of his from his many, many, MANY (seriously, Dave, do you sleep?!) posts over the course of the year. It’s a simple, elegant, lovely, vibrant shot that sums up everything about Dave’s photography in general. 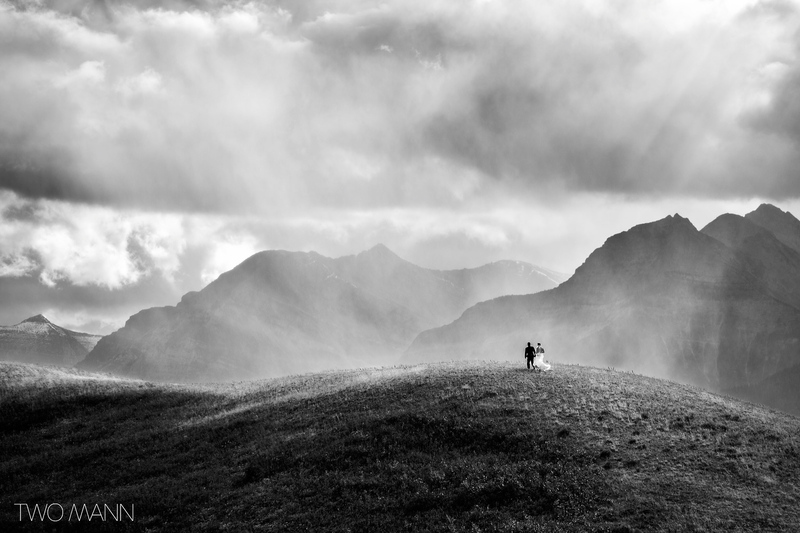 It’s not a signature portrait or a dazzling landscape, both of which he’s got more than a few of in his 2015 portfolio, but rather a mundane, bluish ‘black-and-white’ landscape that has been transformed by the simple addition of a bride (Dave’s wife!) 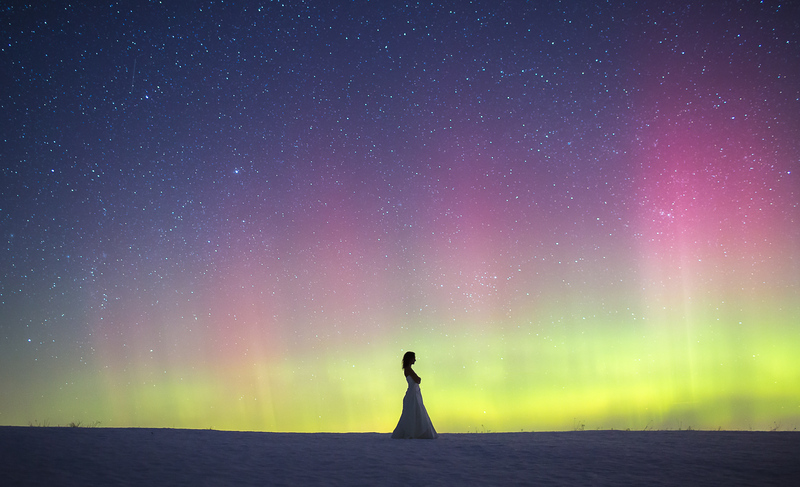 in a stark white dress below a subtle yet shimmering starry, aurora-filled sky. The blue tones framing the bright colours in the interior of the photo, the silhouette, the central positioning of the human figure…all translate into what I picked as Dave’s most memorable image from 2015. It’s no secret that Erika – along with her husband Lanny – are talented photographers. If you know wedding photography you know that they collectively make up the Two Mann Studios brand, who are not only recognized in Canada for their talents, but they are recognized around the globe as two of the most innovative and creative wedding photographers out there. So I’ll be honest when I say I was surprised to say that despite Erika’s obvious incredible skill at wedding photography, I don’t think it’s her best work…but rather her humanitarian work. Erika Jensen-Mann is a master at composition and that even-harder, ever-elusive skill of capturing genuine human emotion. 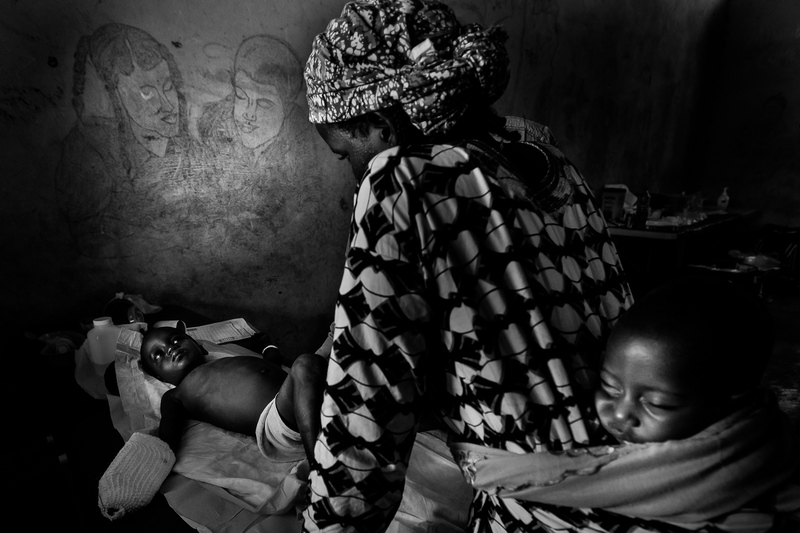 And this image, which she photographed as part of a team who went and worked in Ghana, leaves me breathless. That an image can speak to the bonds between human beings and be somehow filled with both tension and tenderness, grit and beauty…is a powerful feat. This image is pure storytelling, and that’s the component that most photographers – even immensely talented photographers – often fall flat on: not Erika, however. Whether it’s her wedding work, her images of her family, or important documentary work as shown here, Erika is a story-teller. Her work makes you feel. And we’re all the better for it. Having a browse through Viktoria’s photo stream is like a taking a much needed relaxation break through the mountains. Having spent the majority of my life in the shadow of the Rockies myself, I know the power they have to bring peace to the body and the mind and her images evoke this sense of calm. From perfectly framed portraits of children and their pets enjoying the winter wonderland to stunning landscapes of mountains and lakes, her images could easily sell me a one way ticket back to the mountains. Finding just one image was tough because each time I had a look through, I found myself drawn to a new one. I eventually chose one of a lone figure, stretching out over the water, a feeling of strength that makes me feel at home. Have a tour through Viktoria’s work and you’re sure to feel both calm and invigorated! Fantastic and awesome range of photographs so well captured in essence of beauty, composition and lighting.